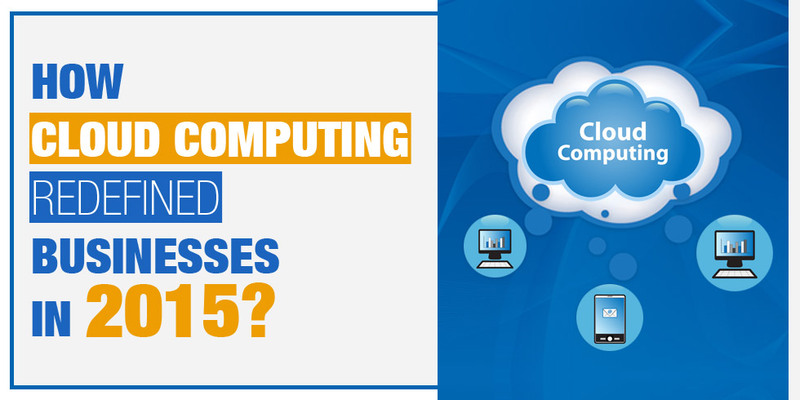 How Cloud Computing Redefined Businesses in 2015? Ever since Amazon announced a new technology ‘Cloud Computing’ way back in 2006, tech experts around the world have made predictions about cloud at the start of every year and reviewed it at the yearend. Such has been the impact of cloud computing services that it has redefined the way data is stored and how businesses use their tools and applications. With each passing year, we see more acceptance of the cloud among small and large businesses and 2015 will surely go down as the year when cloud computing redefined businesses. Cloud solutions have helped businesses develop new business models that help them in gaining competitive edge over their rivals. Some of these business models wouldn’t have been possible to develop without a technology that is as flexible and scalable as the cloud. One of the major growth areas in 2015 has been the upsurge in the use of tools and applications under the SaaS (Software as a Service) model. This has allowed small businesses and start-ups to access the top end tools and application without having to invest a large sum of money in their outright purchase. Businesses are increasingly going mobile both in the way how they are offering products and services to the customers and the way people work in the organizations. ‘Work from Home’ has emerged as one of the best ways of retaining talent and attracting new people to the fold. Cloud Computing allows you to make tools and application available to the users irrespective of the location and the device used. Businesses that rely on R&D have moved most of their research projects to the cloud in 2015. This has helped different teams in different corners of the world simultaneously work on the project thus expediting the development of new products and services resulting in increased profits and more value to their customers. Even businesses that haven’t moved on to the cloud are actually using many cloud solutions without even realizing it. Data storage lies at the core of cloud technology and has allowed businesses to move precious data to the cloud. This saves businesses from the cost of maintaining their own data centers and regularly monitoring them. Last but not the least Cloud Computing solutions have helped businesses cut down on their operational expenditure. As the competition intensified in the industry those with cloud computing solutions benefitted with a less capital-intensive model that offered them more flexibility and agility to change with the shift in market trends. Cloud computing solutions have become a must for businesses across different industries and if you want to migrate to the cloud or augment your presence we at Semaphore Software can offer you the best of cloud solutions. We are one of the leading cloud computing service providers in India and cater to the needs of customers around the world. Write to us at info@semaphore-software.com to know more about the possibilities with cloud solution.